We foresee a dramatic and revolutionary shift for Planet Earth in 2014, the likes of which have never been seen before on the planet. Humankind will rise to new heights because of the new freedom from poverty and want which the Prosperity Funds will make possible. Funds will be released over a period of time to avoid chaos in the world markets, but the effect will begin to be felt before Christmas of 2013 and will continue to lift the hearts and minds of the entire planet. There are three events which will change your world completely. The first was the August 22, 2013 departure of the Darkest Ones who were the instigators of all the wars, the massive abuses of power, and the deliberately engineered poverty across the globe. The second is the release of the Prosperity Funds, which will culminate with the transfer of wealth to all humankind, rather than the few wealthiest ones. The third and most exciting event will be The Landings – the arrival of the Star Brothers and Sisters who are now, as of October 14, waiting in their ships by the millions. They are in orbit around the Earth, awaiting the Announcements, which will be given out all at once, via media outlets in every corner of the planet. It will take a number of months before the entire world population is able to absorb the true meaning of the changes. The eons of economic slavery which was engineered by the Dark Hats has lingered in the form of a psychological mindset which revolves around feelings of lack, competition and fear. Those Dark Ones of the Reptilian race have been removed from the planet as of August 22, 2013, but their lingering attitudes and psychological conditioning will take months, or possibly years to completely eradicate. Some have called them Illuminati, or the Thirteen Families. We prefer to call them the Naughties because we do not wish to aggrandize their power. We assure you that they are gone. You may listen to the ceremony in which they departed to be taken to the Light. It was broadcast on BlogTalkRadio.com/ChannelPanel on the night the New Age began. Many of you are familiar with the good work by our dear St. Germain over the past several hundred years, which has made it possible for the entire global economy to be reset, while removing the power from the hands of the elite. The shift of economic power will bring unimaginable political changes, including the entire reorganization of the United States government. You will begin to feel the true meaning of the old saying, “On Earth as it is in Heaven,” when a new sense of freedom, transparency and cooperation spreads throughout the land, and the drudgery of long hours at a boring job turns to dancing in the streets in celebration of Life, Liberty and the Pursuit of Happiness. Some have believed that spirituality is separate from politics. We wish to tell you that We, Mother and Father God, have always been very much involved in the evolution of governments on your planet, because the governance of a nation is the most influential element in the health, safety and well-being of an individual, next to the role of the parents and family. All are connected; all is relevant. The arrival of the Galactics will bring a completely new atmosphere of Love, Trust and Cooperation across the globe. Every town, every hamlet will be visited by the highly evolved, dedicated Brothers and Sisters of the Stars who will come by the millions to be of service to you in your Ascension. They are teachers and friends who will bring new concepts and new technologies which are far beyond anything you have available now. Free energy, communications, and aeroship transportation will bring convenience without pollution or destruction of Mother Earth’s delicate ecosystems. Of course, these changes cannot be brought about without the elimination of the oil and gas industries, and the eradication of all toxic chemical usage in agriculture and manufacturing. Some of these shifts are already beginning and will come into full force in 2014. The Galactics, acting on the fervent prayers of humankind, and with the approval of the Company of Heaven, have already begun to assist in the clean-up of the planet. Your nuclear weapons were of utmost concern to the rest of the cosmos, and were the first priority. All weapons of mass destruction of the nuclear type have been completely disabled. It is a small matter for the Galactics to locate and disarm them, and all weapons which could have been used to wage World War Three have been neutralized. Smaller weapons like nuclear warheads on missiles have also been neutralized, although conventional weaponry is still operative. This too will eventually be disabled; 2014 will find an outbreak of peace of major proportions. Along with the end of all warfare, including the last few civil wars which are still in their final stages, 2014 will bring an entirely new kind of freedom to refugees across the planet who have been held hostage to fear, poverty and conflict. A brand new form of prosperity will take hold in the atmosphere of freedom to trade openly, and to return to ravaged homelands to rebuild and replant in peace, forgiveness and reconciliation. All this will be aided by ample assistance in the development of new agricultural methods, new sources of clean water, and free energy from the Galactics who will be a source of constant service and endless Love. Yes, indeed, Beloved Ones, you are present now for the dawning of the New Golden Age, and it will be delightful beyond your wildest imaginings. You have made this possible by raising your individual vibrations in preparation for the first wave of Ascension. 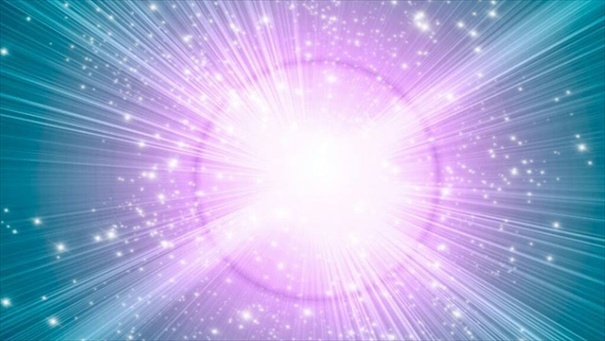 All of you, all humankind will begin the glorious Ascension in which you will raise your bodies to higher vibration in order to adapt to Mother Earth’s Ascension to the Fifth Dimension. A glorious time it will be. We will leave to our Beloved Sananda, the one you knew as Jesus, the delightful descriptions of what you are to experience personally in your coming Ascension. We are Mother and Father God, bringing you this message in cooperation with Sananda and Prime Creator, through our Kathryn/Lady Portia, the one we call “The Voice of Mother/Father God.” We wish you Peace, Harmony, Forgiveness, Joy and Endless Love. NextWhat Will It Be Like When Your Third Eye Is Open?